How Does the FDA Decide What Facilities to Inspect? 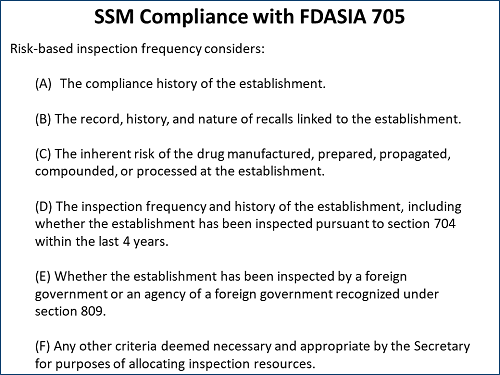 So what can you do to reduce your FDA inspection frequency? Have better performance! First, with better quality performance you will have less compliance issues – the first criteria. Second, with better quality performance you will have less recalls – the second criteria. Third, with better quality performance you will have a better inspection history – the fourth criteria. Thus, by improving quality performance, you will reduce the resources required to deal with FDA inspections. How do you have better quality performance? One major factor is the quality of your root cause analysis and CAPA program. TapRooT® Root Cause Analysis can help your facility achieve excellence in root cause analysis and have a world-class CAPA program.